Here at Outdoor Lighting Perspectives of Nashville there is no shortage of beautiful landscapes, facades and storefronts we take pride in illuminating. The Nashville area is loaded with neighborhoods of elegant homes, and charming storefronts. 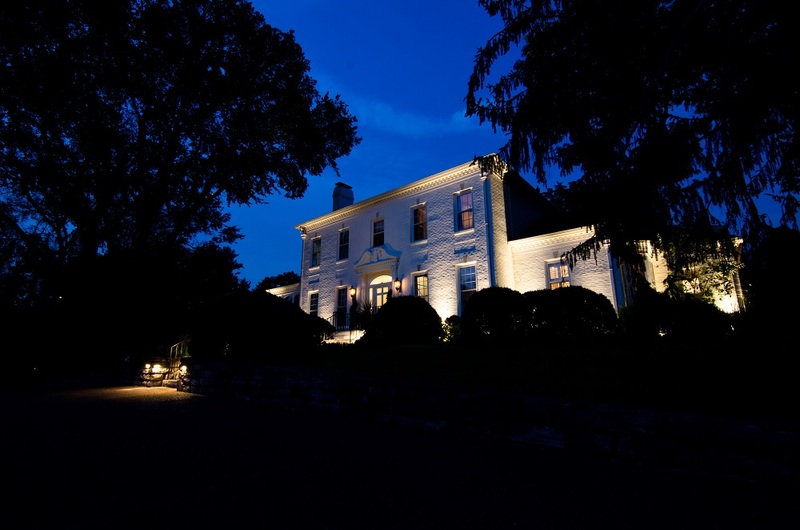 One of the most memorable areas we have been fortunate enough to provide outdoor lighting for is our loyal customers who reside in beautiful Belle Meade. We recently added two more happy homeowners to our repertoire of outdoor lighting we have installed in this prestigious community, on Belle Meade Blvd. and Royal Oaks. 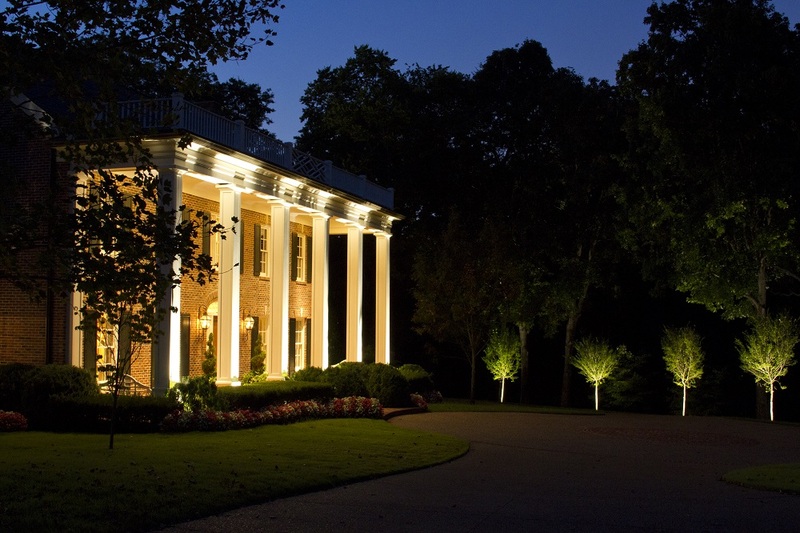 Our most recent Royal Oaks installation was for returning customers who have hired Outdoor Lighting Perspectives of Nashville to design and install the outdoor lighting at their property and home which continues to evolve over the years. This particular installation was completed in phases and was part of the completion of their newly appointed outdoor living areas, and completion of retrofitting their halogen system to LED. We added romantic moonlighting behind the new pool house. We added moonlighting behind their new pool house, tree lighting along the rear and front of the property and along the driveway and path that leads to both the rear and front entrances of this majestic home. The home itself is built in the classic Georgian style architecture with column detail along the front facade of the home. This type of architecture lends itself to outdoor lighting beautifully and provides all the elements needed to portray the graceful charm and elegance of the home under the spell of our outdoor lighting. We have also retrofitted the landscape and architectural lighting from halogen to low-voltage LED in phases, incorporating efficiency and “greener” technologies throughout the property. In order to achieve the desired effect in lighting this fountain, we hired a professional tree climber to mount the fixture within a tree that surrounds the courtyard. Another outdoor lighting design and installation we recently completed on Belle Meade Blvd., came to us via a referral from our customer on Royal Oaks. 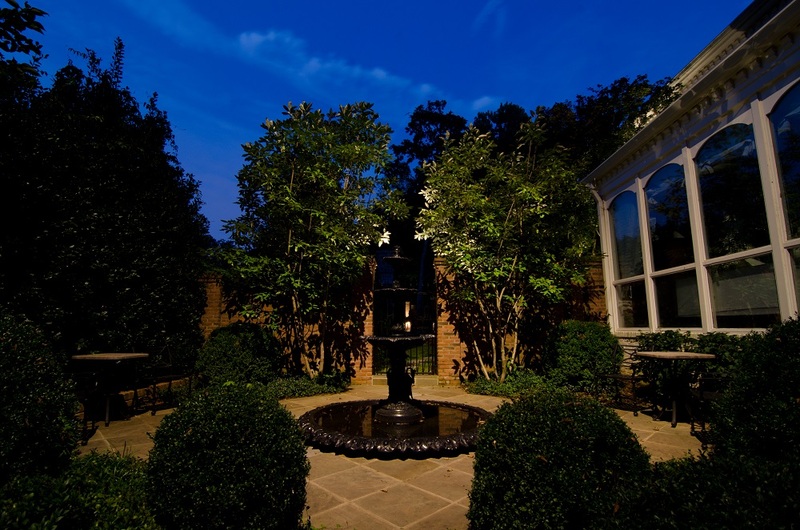 This outdoor lighting design and installation included designing and installing the architectural and facade lighting that enhances the traditional federal style of the home, landscape and accent lighting and moonlighting the stunning fountain located inside their rear courtyard. In order to achieve the desired effect in lighting the fountain, we hired a professional tree climber to mount the fixture within a tree that surrounds the courtyard. The fixture was mounted and aimed towards the fountain to create a magical illumination in the evening- stunning! 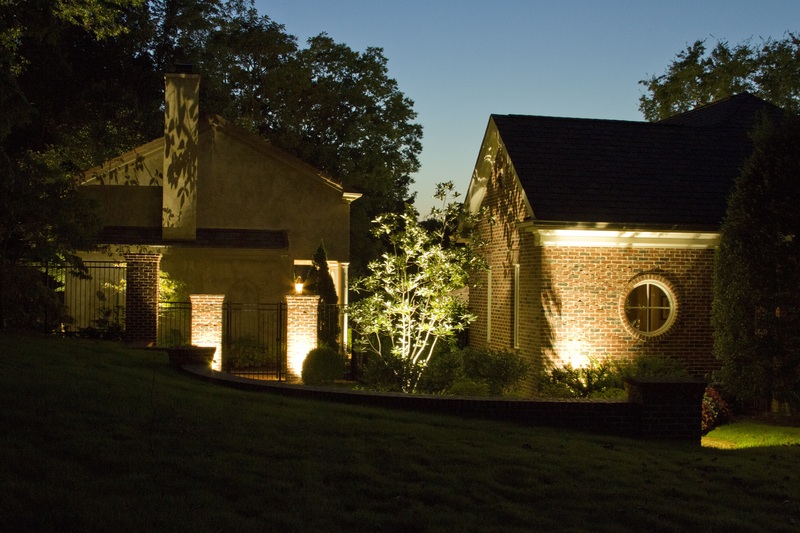 Another image of our magical outdoor lighting designs in Belle Meade. 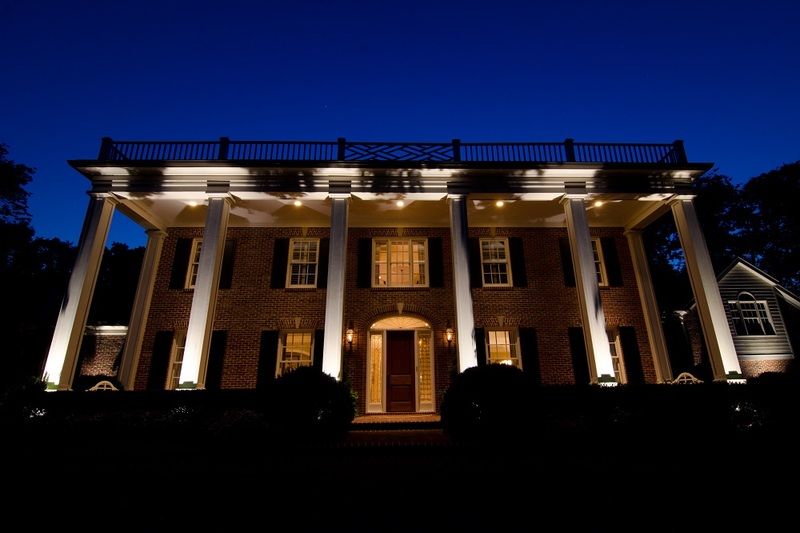 You don’t have to live in Belle Meade to take advantage of the many benefits of our outdoor lighting designs. We’ve been designing and installing outdoor lighting in Nashville and the surrounding area for 25 years. 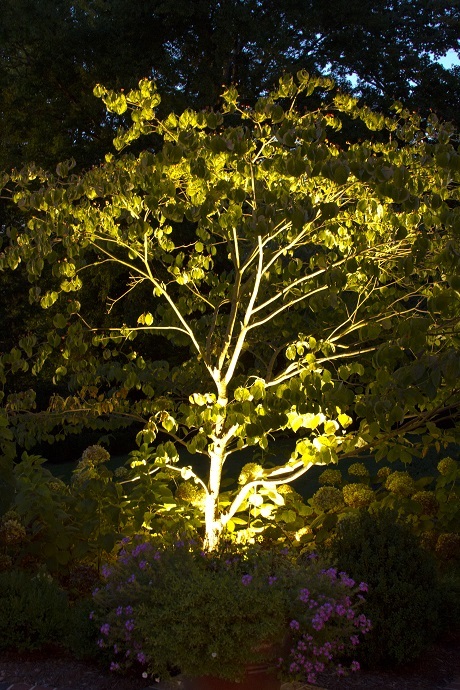 We can improve the safety, function and beauty of your home or business during the evening- ask around, chances are that outdoor lighting design that always leaves you breathless was installed by us! If you are ready to learn more about what making the most out of your outdoor lighting design is all about, contact Outdoor Lighting Perspectives of Nashville today. We can turn your home and landscape into a true work of art after the sun goes down! This entry was posted in Focal point outdoor lighting, LED outdoor lighting designs, The Romance of Outdoor Lighting and tagged architectural lighting, Fountain lighting in Belle Meade Nashville TN, Garden lighting, Landscape Lighting, LED outdoor lighting in Belle Meade Nashville TN, Lighting unique areas of your Nashville landscape, Moonlighting in Belle Meade, Nashville architectural and facade lighting for classic homes, Nashville focal architectural outdoor lighting, Nashville focal tree lighting, Nashville TN garden and landscape lighting, Nashville TN moonlighting, Nashville tree lighting, Nashville tree lighting techniques, Outdoor lighting in Belle Meade Nashville TN, outdoor lighting Nashville by outdoorlightingnashville. Bookmark the permalink.